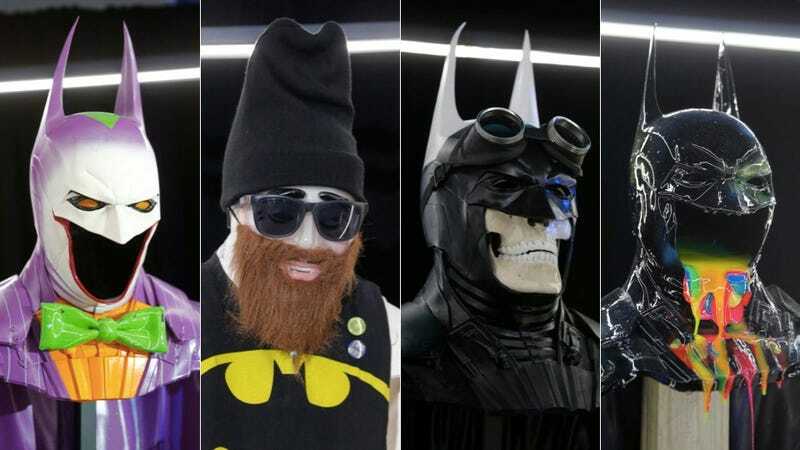 The Cape/Cowl/Create art show at SDCC celebrated the 75th anniversary of Batman by giving him a makeover. A collection of artists were tasked with remaking the iconic cowl and cape, and we kind of love what came out. If you're at San Diego Comic-Con the "Cape/Cowl/Create" exhibition will be open for the rest of the convention from 12 to 7. It's free and can be found in the Hard Rock Hotel, Legend's Room. All images photographed by Cape/Cowl/Create exhibit.